The NSS Youth Groups Liaison Committee (YGLC) (Education Division, Department of the Administrative Vice President) is seeking volunteers to fill several committee and sub-committee positions. 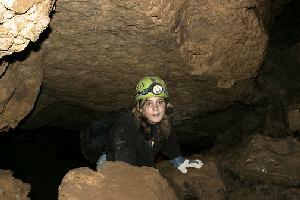 If you're interested in helping youth learn about the importance of caves and karst, please go to the NSS YGLC Website's index page from www.caves.org/youth/ and click on the "To Join the YGLC" button to learn about committee goals, positions, responsibilities, and application process. Some positions require very few responsibilities and a small time-commitment, while others require high skill-levels in project management, writing, and communication, as well a considerable time-commitment. All positions require people skills, Internet access, and a desire to improve access to information on topics concerning youth groups and caving for grottos, cavers, and youth groups. No positions require working directly with youth, but all positions will have a major impact on meeting the conservation, safety, and education goals of the NSS. Please check out the positions and see where your skills would fit in the structure of the YGL committee.